Waist bag, term du jour for fanny pack, does indeed sounds much more chicer than fanny pack, but looks like a duck, quacks like a duck is still a... or the nicer way to put it, a rose by another name is still a rose. I guess if you are going to shell out stacks for an item, referring to it in the terms of what accompanies mom jeans and treks though the Magic Kingdom or your local water parks is rather unbecoming. 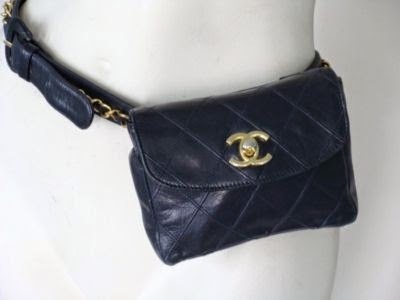 So I present to you the Chanel waist bag here, here, and here.